In a forest, on a tree, there is a beehive where wild bees are producing their honey and taking care of their children. A pendulum or a destructive energetic entity, hungry and desperate for a new energy, approaches them, while announcing to their adherents that these are very dangerous bees that they have to destroy or at least ruin their nest. To prove their point, they begin to knock the nest with a stick, disturbing the bees that start stinging the attackers, confirming the false thesis of the destructive pendulum that they are very dangerous and aggressive and that they need to be destroyed. This story from the book Transurfing by the Russian author Vadim Zealand seems to perfectly fit and be applied to the developments in Macedonia. The story, and the entire book, is dedicated to the pendulums or swings which, hungry for human energy, are aggressively fighting for new followers, constantly and everywhere. With the continuous and inevitable rise of global consciousness, the destructive pendulums in the form of the EU and NATO are slowly but surely losing their force and dying, so in this period, it seems as if they are aggressively fighting for supremacy and survival of the unilateral world order with one center of power - their own. Specifically, Macedonia has found itself in the "line of fire" because Barack Obama’s administration and their underlings in NATO and the EU are not very fond neither of the Russian pipeline or the Chinese railway that are planned for the region and Macedonia. But anything that goes against the laws of nature, producing unnecessary tension or potential in the universal balance, will face the law of the universe according to which everything returns multiplied by three. The good as well as the bad. So, while the list of countries that have declared war on the self-proclaimed "philanthropist" George Soros, and among them Macedonia, is expanding, his main protectors, the US “Democrats", have lost power and he has created a powerful enemy out of the current US president, Donald Trump. Apart from the illegal interception of the communications of European leaders and top Macedonian officials, Obama’s administration seems to have been wiretapping even Trump, who personally unveiled the scandal, referring to his predecessor as a bad and sick person. Thanks above all to “WikiLeaks", on the other hand, the illegal activities of Obama’s hopeful successor, Hillary Clinton, and her team have been fully exposed to the world, something that they have tried to do in Macedonia by publishing the illegally wiretapped conversations of state officials, but in vain. They failed because the tapping of the phones in the end brought nothing. However, it seems that karma has done its share, and now a substantial portion of US public opinion is being informed about the suspicious activities of the US Ambassador to Macedonia, Jess Bailey, who now has to answer to the authorities in Washington about the millions of dollars of US taxpayers that went through USAID were channeled to Soros NGO’s and lackey media in order to overthrow the democratically elected government of VMRO-DPMNE and Nikola Gruevski, and transfer power to the puppet leader Zoran Zaev, who would later in return bring down not just the symbols and the values ​​of the Macedonian people, but the country itself. He who digs a pit for another, falls into it himself - this saying has once again been proven by the latest developments in neighboring Albania, where the position of PM Edi Rama (a close associate of Soros and one of the co-authors of "The Albanian platform" accepted by Macedonia’s opposition SDSM) is increasingly weak, primarily because irredentism towards Macedonia does not raise the living standards of the Albanian people. At the same time, it seems that the power of the pendulum called the EU is weakening as well. The devastating Balkan tour of the high representative for foreign policy, Federica Mogherini, is the best indicator of this. In Montenegro, she spoke in front of a half-empty parliament, and in Serbia she was hardly allowed to talk, instead being welcomed with the loud message "Serbia and Russia, we do not need the union". She did not even go to Bosnia and Herzegovina. Disappointed and furious, Mogherini seems to have left Macedonia as well, after her unsuccessful, blatant attempt to pressure President Djorge Ivanov to give a mandate for liquidating and dissolving Macedonia. However, it seems that what is really getting close to dissolution is the EU itself, and after BREXIT, it seems that complete decomposition is only a matter of time. The manipulative and destructive pendulums are drawing energy from the people in several ways, primarily through pulling the people out of balance, and then by imposing a sense of fear or through the favorite tool of the manipulators – the imposed sense of guilt. If they manage, you start to radiate negative energy on the same frequency as the pendulum. And it seems that this perfectly matches the manipulation they are trying to achieve in Macedonia. After two years of puling the country and its people out of balance, now they’ve begun to intimidate us with a bloody Ukrainian scenario, while in parallel trying to impose upon us a feeling of guilt, calling us “fascists” because we do not want to give away our country and marking us as “nationalists” simply because we are Macedonians, who do not accept another name except Macedonia, no matter the price, because when it comes to us, there are some values that are not for sale. The solution goes in two directions. The first is to pay them as little attention as possible, because giving attention to the destructive pendulum means giving your energy, whether it is through positive or negative feelings. Therefore, we need to seek salvation from the satanic-atheistic gang that is attacking us first and foremost in ignoring the evil and consciously channeling out thoughts into something else. On the other hand, the current situation in our country can’t and shouldn’t leave anyone indifferent. But, in order to not allow them to push us down to their low vibration, so that we begin to pulse identically, instead of focusing on the rottenness and the corruption of the domestic traitors and the foreign oppressors, we need to shift our focus towards love for our country and our people. We must not allow them to collectively poison us with hatred, revenge, anger and fear. Instead we need to focus on the ideals of our struggle: justice, truth and freedom. The ongoing massive, but peaceful and extremely dignified protests of the For a Joint Macedonia citizens movement against the Albanian platform accepted by SDSM and aimed at creating Greater Albania, are showing that we are on the right path. They are showing who is constructive here and who the destructive one is. When at the beginning of the crisis, about two years ago, many, including official Moscow, warned that the ultimate goal of wiretapped conversations, terrorist attacks, opposition protests, technical ministers and “special prosecutors” was the dissolution of Macedonia and creating Greater Albania, for some this was probably difficult to accept. But today, finally, it should be crystal clear to everyone that the "enlightened" NATO and EU, hitherto supported by the Obama Administration, are still conspiring bloody wars and division of our homeland in the 21st century. Their chief executive puppet is currently the pathological liar and abolished criminal, the leader of SDSM, Zoran Zaev from Murtino. And although his word has not been worth a cent for a long time now, he continues to play the clown on duty in the region, telling us not to be afraid and that what is about to happen is not going to be a bad at all, with a crafty and crazy facial expression as a deranged doctor who "comforts" his victim before fatally crippling her. But some things never change. Many puppet clowns have changed on the leading positions of the SDSM pendulum, but from the platform for annihilation of Macedonia nobody ever gave up. They changed our name and our flag; they crippled our economy; gave 150,000 passports (read votes) to Kosovars and carried out shameful territorial division. Now the fifth column has received an order that the time has come for dealing the final, fatal blow to Macedonia. And as the party of the former communists once again, traditionally, justified the "primacy" of a fifth column in Macedonia, our generation of reasonable and patriotic Macedonians will justify the responsibility that was given to us and, God willing, just like our ancestors, we too will be able to hand over to our successors a legacy of a free, unitary Macedonia in which the majority of Macedonian people will speak the official Macedonian language. 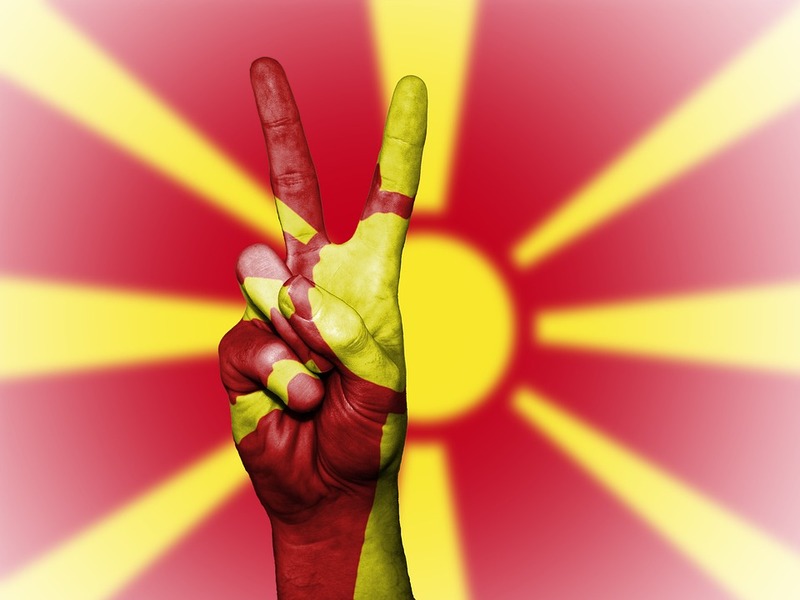 Will the West stop in Macedonia? Turkey’s Exit from NATO: Why the delay? Despite official statements, the troops of the North Atlantic alliance continue systematic preparations for a military confrontation with Russia.